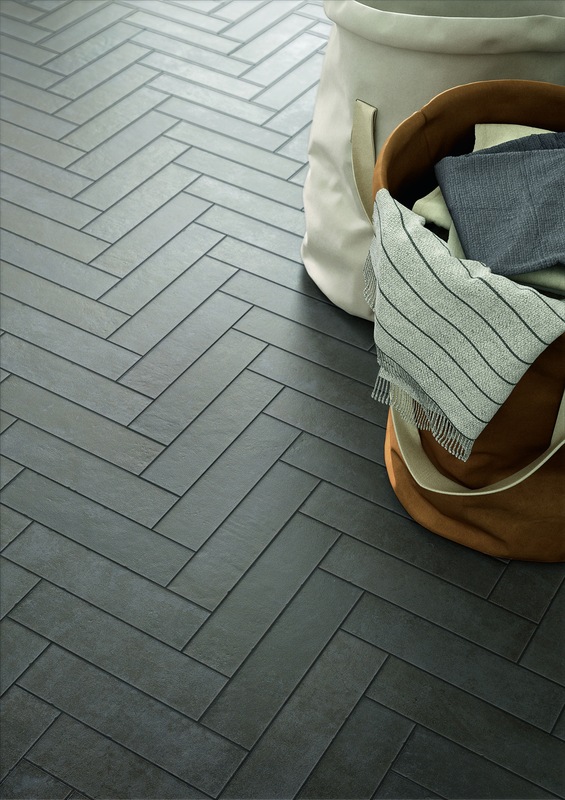 Clays by Marazzi reinterprets simple, authentic ceramic materials, revised for a heritage taste. Like terracotta, now used in a range of situations to respond to the need for informal, reassuring and welcoming spaces. The collection in fine porcelain stoneware, batch-colored, stands out for its light structure with a “trowel” effect, alternating glossy and matte finishes. With an aesthetic reminiscent of concrete and terracotta, the collection is unique thanks to its intense nuances, flourishes and brushstrokes. Combined with the industrial trend of concrete, the heritage style based on the memory of the past revives the symbols, lines and decorations of terracotta, in settings that keep faith with history, evoking a reassuring atmosphere of home, where time seems to stand still. 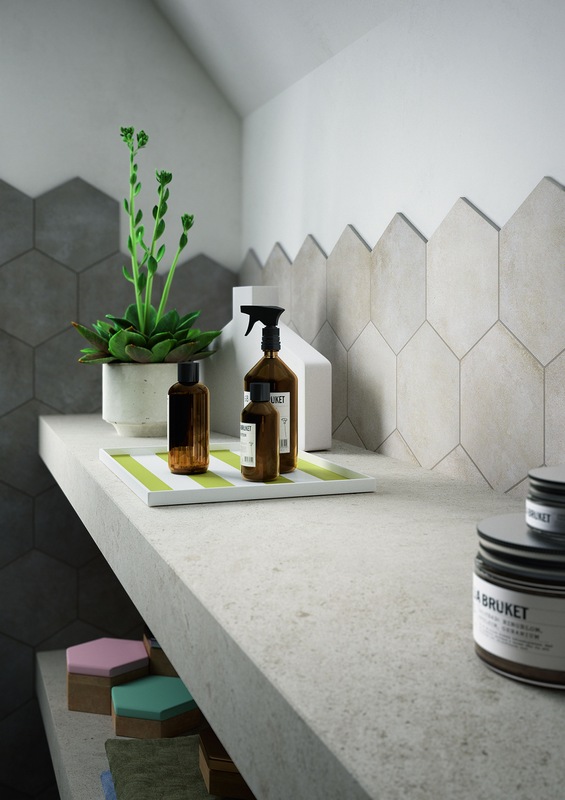 An ecosustainable product made with a closed-cycle production process, Clays comes in a range of 5 colors: Cotton (white), Lava (anthracite), Earth (terracotta), Sand (beige), Shell (greige), and is ideal for both residential (living, kitchen, bath, bedroom) and commercial (restaurants, stores, offices) spaces. The new development is the “esagonetta” decoration. New 7×28 cm outdoor, available in the colors Lava, Earth and Shell. The new 7x28 cm format for floors and facings, available in all five colors (Cotton, Lava, Earth, Sand, Shell), from the Clays collection by Marazzi. 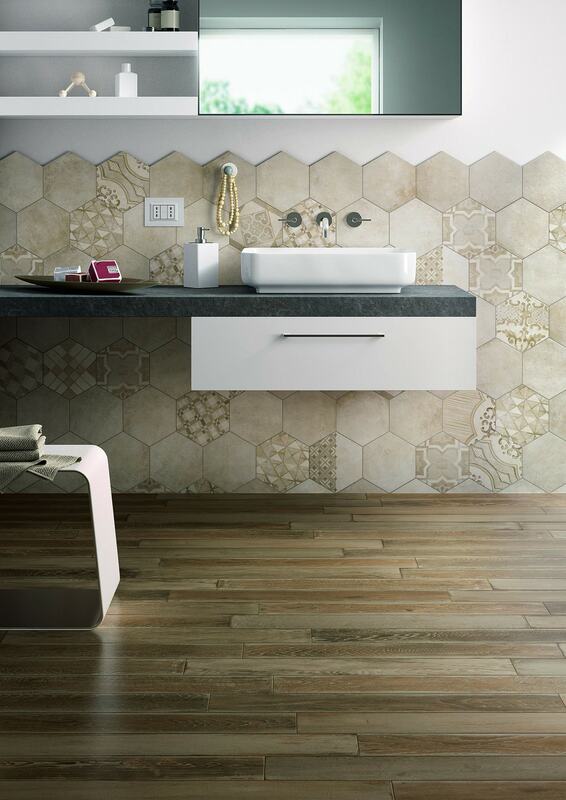 The new “esagonetta” decoration from the Clays collection by Marazzi. 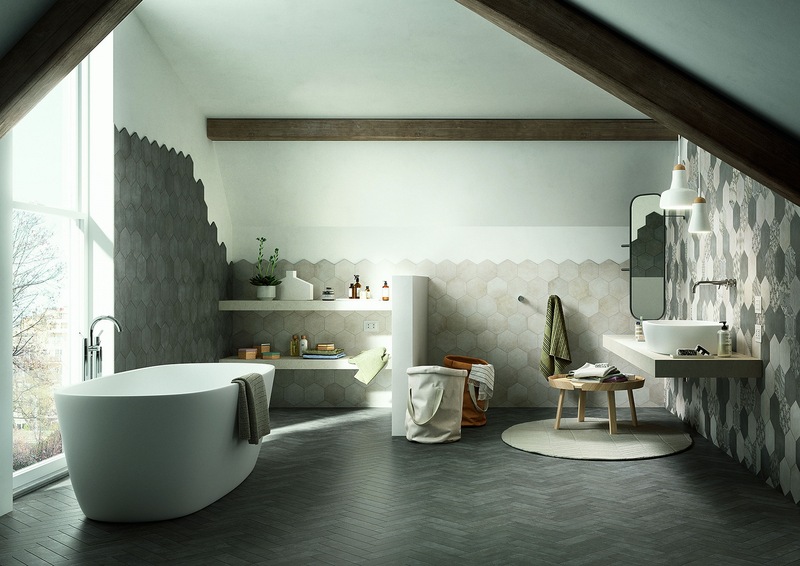 The Clays collection by Marazzi, on the floor and the walls, in a bathroom. The Clays collection combined with the Treverkage wood-effect floor. 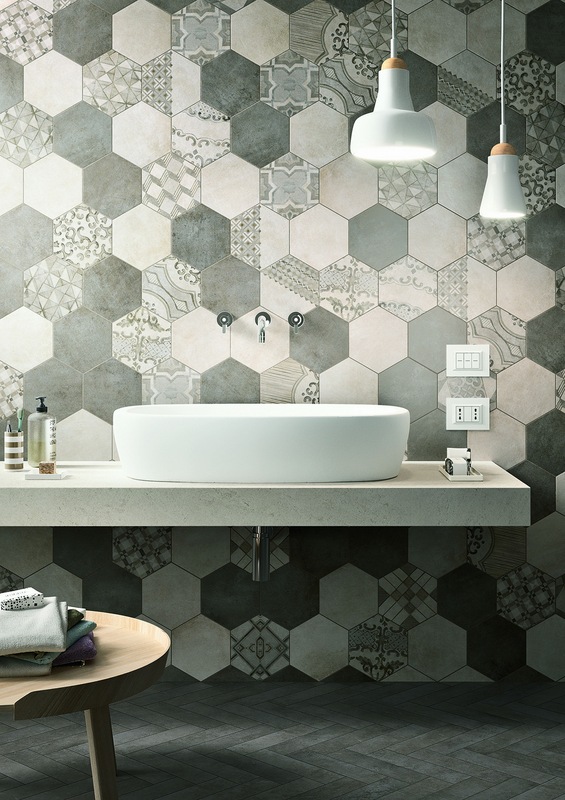 All by Marazzi.